Madurai (TN): In a fierce attack on DMK-Congress combine, AIADMK supremo Jayalalithaa on Wednesday dubbed it a "loot coalition" by raking up a host of corruption charges against the two parties and asked the people to decimate them in the 16 May Assembly elections in Tamil Nadu. 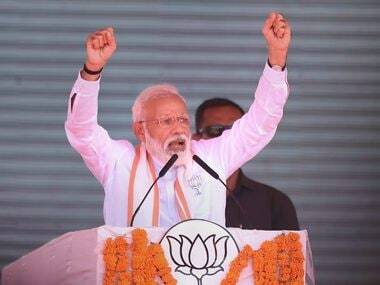 Listing out the scams of the UPA-II like 2G spectrum, coal and Adarsh Housing at an election rally here, she said, "Do not forget that it is the Congress-DMK combine which indulged in scam even in conduct of games..the Commonwealth games." On issues such as Mullaiperiyar, Jallikattu and illegal granite mining, the Tamil Nadu CM attacked DMK for "betrayal" of the state and for "inaction" against the tainted in granite irregularities. She told the audience the DMK-Congress combine would come to them "to seek votes to swindle more as if what they had swindled when they were in power was not enough. "You must give them a (electoral) blow, more severe than you handed them down in 2011 Assembly and 2014 Parliamentary polls, to put a full stop to them," she charged. Only if you deliver the blow, "the loot-combine will permanently go," she said. "A full stop should be put for the DMK-Congress combine," she said and posed her characteristic question of "will you do it?, will you do it?" in an emotionally charged voice to which the large audience replied in the positive. On Mullaiperiyar issue with Kerala, which has a direct bearing on five southern districts, she claimed AIADMK alone was working towards restoring the storage in Mullaiperiyar dam to its full capacity of 152 feet. "Necessary steps have been taken by my government to store water to its full capacity of 152 feet. All work for dam strengthening will be completed and I give you my assurance that water will be stored to its full capacity of 152 feet," she said. She referred to DMK's poll promise that it will make efforts for storage of 142 feet water in Mullaiperiyar by urging the Centre. "I don't understand and I am not aware if you understand. When 142-feet water is being stored for the past two years, what is that they are going to urge," she asked. 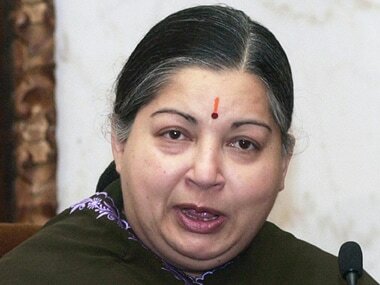 She alleged that DMK was betraying Tamil Nadu by deciding to store only 142 feet water. The Chief Minister said due to her government's efforts, the Centre had put on hold its nod to Kerala for a study on the environmental impact assessment for a new dam over Mullaiperiyar. Jayalalithaa also targeted the DMK-Congress on the bull taming sport 'Jallikattu', which has a historical link to this temple city and other southern districts. She alleged the combine was responsible for the Supreme Court's ban on the sport and referred to a 2011 UPA regime notification that prohibited exhibition of bulls. She said, perhaps, having in mind such mistakes, the DMK workers were seeking the "people to forgive such mistakes. Tamil Nadu's people will never forgive such wrongs. I assure you categorically that we will get the right to hold Jallikattu through the Supreme Court." Blaming DMK for betraying Tamil Nadu in Jallikattu, she said the party's present promise for conducting the bull taming sport was "diversionary and deceptive." On the sensational illegal granite mining issue here, she said, "Illegal granite mining happened during the previous DMK regime in Madurai district." She said in 2009, news reports over illegal granite mining were published and representations were made to then Chief Minister Karunanidhi also. "Neither Chief Minister Karunanidhi nor his DMK government took action against those behind illegal granite miners. No action was taken. Since they were responsible for looting, they elbowed aside granite looters and took action against those who exposed it," she alleged. In 2010, she said action was taken against a Tamil daily which exposed alleged illegal granite mining in Madurai. "No study was done to unearth the irregularities in granite mining. After I assumed office as Chief Minister, I ordered detailed investigation and in 2012 the (Madurai) District Collector gave a report to the government," she said. In the report, the Collector had said that he inspected three quarries and pegged revenue loss to the tune of about Rs 16,000 crore. She claimed during her regime criminal action was taken, cases registered and granite mining halted in Madurai. She also said action was being taken on the basis of court-appointed Legal Commissioner and senior IAS officer U Sagayam's report to the Madras High Court. The AIADMK leader also refuted the DMK's claim that the granite scam was worth Rs 1,10,000 crore when she took over as the CM. 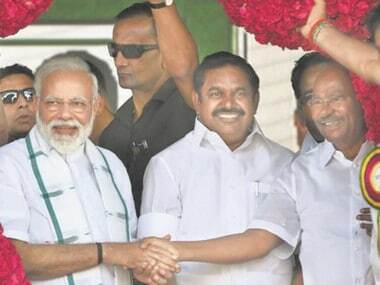 "When this was the background, DMK was campaigning stating that there was Rs 1,10,000 crore corruption in granite mining in Madurai district," she said. "Granite mining was halted in 2012 itself in Madurai. Do you understand? 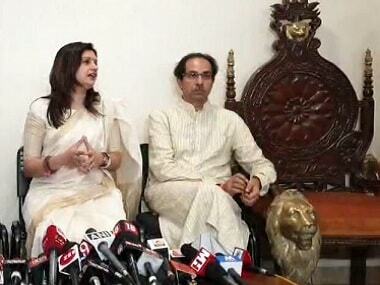 The claim of Rs 1,10,000 crore scam was done by DMK men," she charged.